Services – Way to Go, Inc.
Let Way to Go Help You! We provide several services to assist low-income and Asset Limited, Income Constrained, and Employed (ALICE) working households with their vehicle transportation needs. The majority of clients served fall below 300% of the Federal Poverty Level. However, we also serve individuals and families who earn more than the official Federal Poverty Level, but less than the basic cost of living for our area (ALICE). recommendation by a community organization or agency familiar with the family’s needs, resources, and employment history. Community agencies and organizations referring clients to Way to Go for services must complete and return this form. Clients in need of a vehicle who do not qualify for financing through our WorkCars program or have limited available monthly funds after all expenses have been paid (no less than $200) can apply for a donated vehicle. Donated vehicles, provided by members of our community, are awarded to Way to Go-approved clients at no cost. 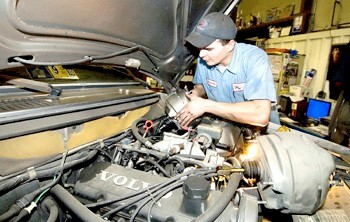 However, clients are responsible for vehicle maintenance, gas, insurance, and tags/registration after award of a vehicle. Clients must work with their referring agent to complete this application. It is advised that clients provide referring agents with their two-year driving record prior to completing the application, as clients with a driving point balance below a negative 5 are ineligible to apply. Upon satisfactory review of submitted application by the Way to Go office, the client is required to attend an interview with the Vehicle Award Committee for approval. The client’s referring agent is requested to also attend this meeting. In partnership with Farmers & Merchant Bank, the WorkCars program provides Way to Go-approved clients with bank-rate vehicle financing for up to 36 months. In addition to the eligibility requirements listed above, clients must show a strong work record and have sufficient available monthl y funds after all expenses have been paid (no less than $450) necessary for vehicle ownership. Clients must work with their referring agent to complete this application. It is advised that clients provide referring agents with their two-year driving record prior to completing the application, as clients with a driving point balance below a negative 5 are ineligible to apply. Upon satisfactory review of submitted application by the Way to Go office, the client is required to attend an interview with the Vehicle Award Committee for approval. The client’s referring agent is requested to also attend this meeting. Clients who have received TANF (Temporary Assistance for Needy Families) public assistance payments within the past two years are eligible to finance a vehicle through our partners at Vehicle for Change. Clients must work with their referring agent to complete this application, including the Program Description Agreement and Car Owner Agreement. To be eligible, clients must be employed on a consistent basis of a minimum 30 hours per week and have sufficient available monthly funds after expenses have been paid (no less than $450) necessary for vehicle ownership. It is advised that clients provide referring agents with their two-year driving record prior to completing the application, as clients with a driving point balance below a negative 5 are ineligible to apply.